FAR OS is the start of a new GIMI-like GUI. FAR OS may look simple but it is actually pretty neat and versatile. The GUI uses Future.Library so there is much opportunity in terms of graphics capabilities for future versions. While the windowing system may not be perfect, you can still write programs and have multiple windows with full interaction. 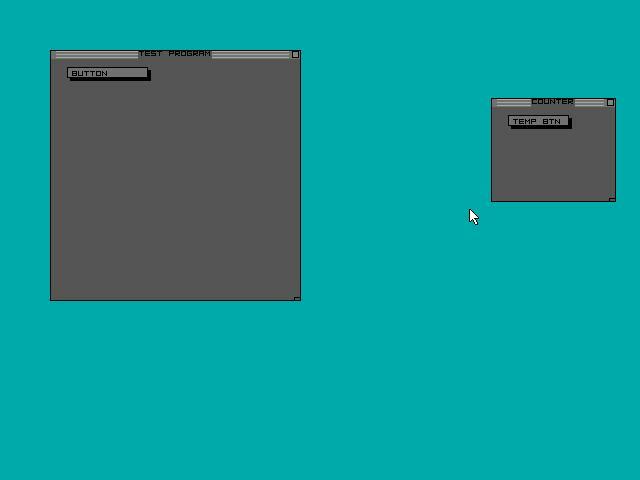 The square to the top-right closes the window and the smaller square at the bottom-right resizes the window (like in GIMI). There are some small things like no documentation on how to use the accompanied scripting language and the windowing class's miscalculation of Z coordinates that could be improved upon. Other than that, it's a fine GUI that has much potential.